There are many Omega Oil signs in New York City. This one was revealed for a brief 8 or 9 months in 1993-94 when a small building at the corners of Broadway, 66th St. and Columbus Ave. was torn down. Above are construction workers taking down this building in December 1993. I was still photographing this site as late as August 1994. 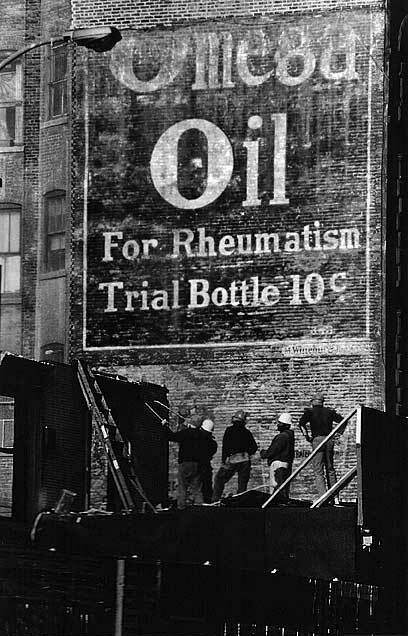 For another Omega Oil sign and company history click here.